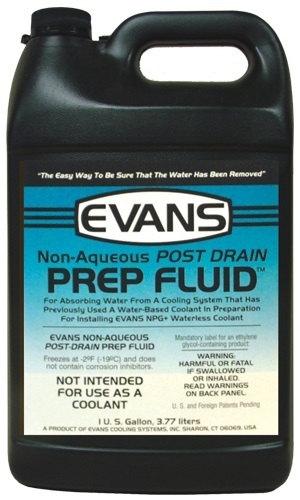 A preparatory engine flush for use with Evans High Performance Coolant. 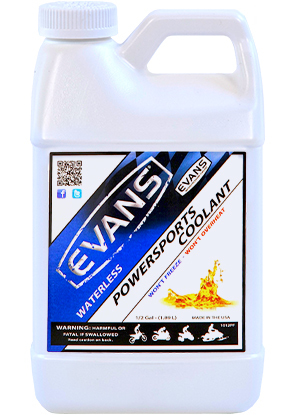 Formulated to hygroscopically absorb water, whilst removing loose dirt and scale from your cooling system. 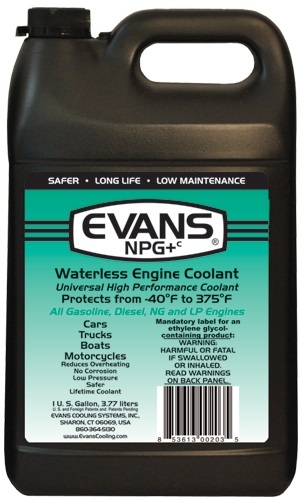 Evans Waterless Powersports engine coolant, available in a US1/2 gallon bottle (1.89 Ltr), is designed for motorcycles, ATVs, UTVs and snowmobiles. It has been used by race teams around the world for years to keep their engines safe, no matter what the conditions.